Alexander High School ranked within the top 5% of the nation's high schools! 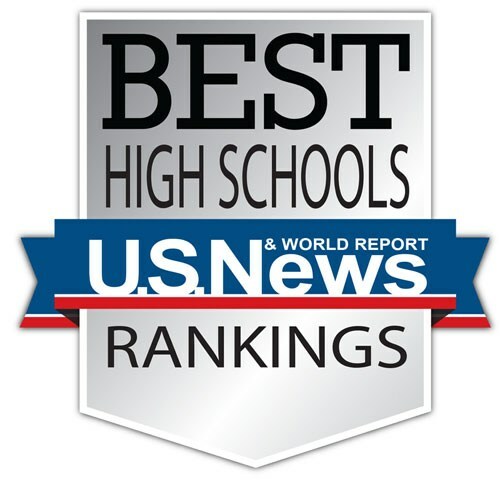 The US News and World Report released their 2018 rankings of our nation's high schools. The US News and World Report released their 2018 rankings of our nation's high schools. Rank is decided upon based on student/teacher ratio, performance on AP exams and proficiency in ELA and Math. Alexander High School ranked #122 out of the 1,263 high schools that were reviewed in NY state and our performance falls within the top ten percent of NYS High Schools! 28,813 high schools nationwide were reviewed and Alexander High School ranked #1304 in the nation. Our performance falls within the top 5% of the nation's high schools! These ranking earned us Silver Medal status.